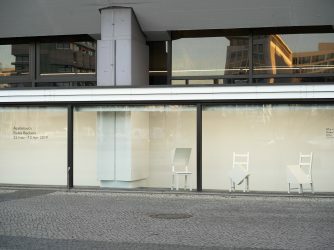 Located between the window and the wall of Efremidis Gallery on Ernst-Reuter Platz, [ERP Projekt] is a space for artistic experimentation. 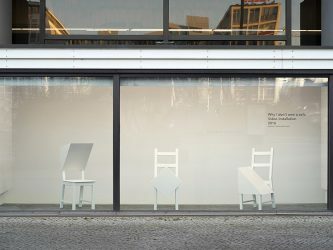 Due to its architectural features, which include cobblestones and concrete pillars, the space invites site-specific interventions which engage with the passersby on the historic Ernst-Reuter-Platz. The venue is open for viewing 24 hours a day even when the gallery is closed. 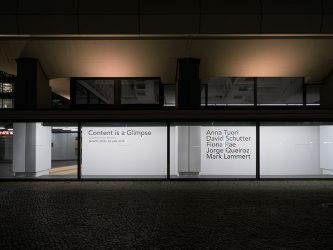 [ERP Projekt] will host six to eight exhibitions a year with the inaugural exhibition taking place in April 2019.